Supports Common Core Standards for Mathematics Grades 3-4. Practice the basic facts of the 1 - 12 times tables, then progress through single to four-factor multiplication drills. Also include are factor pyramids and multiplication wheels and an introduction to decimals. Division steps start with single digit divisors without remainders and move to three digit divisors with remainders. 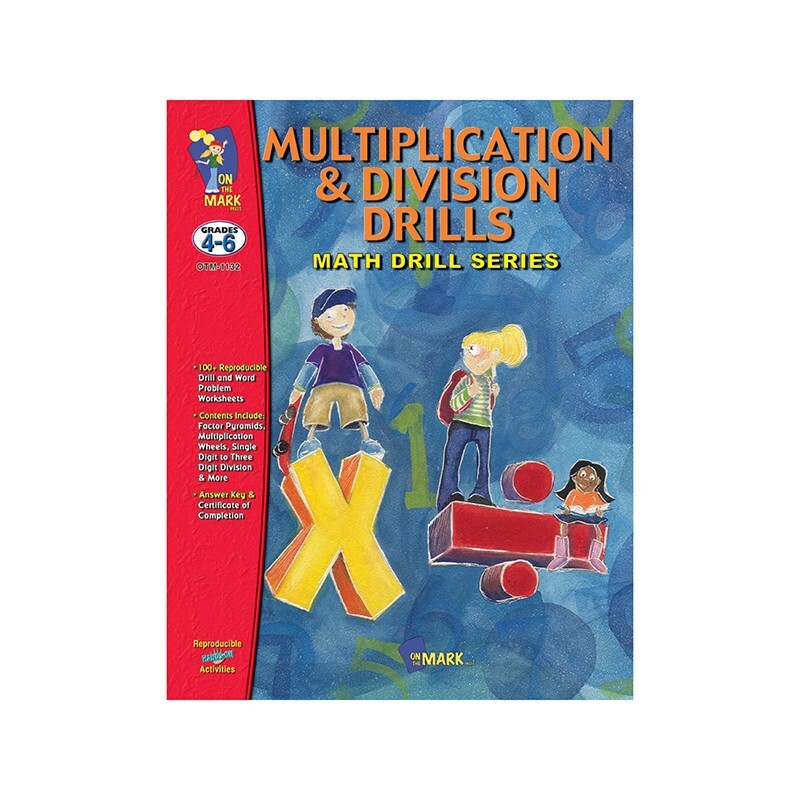 Includes 114 pages of reproducible drill and word problem work sheets that can be used as homework sheets or timed exercises. Answer keys and certificate of completion are also included. 128 pages.